Access All Areas members have a brilliant collection of textures to download this week, courtesy of Texture Club. 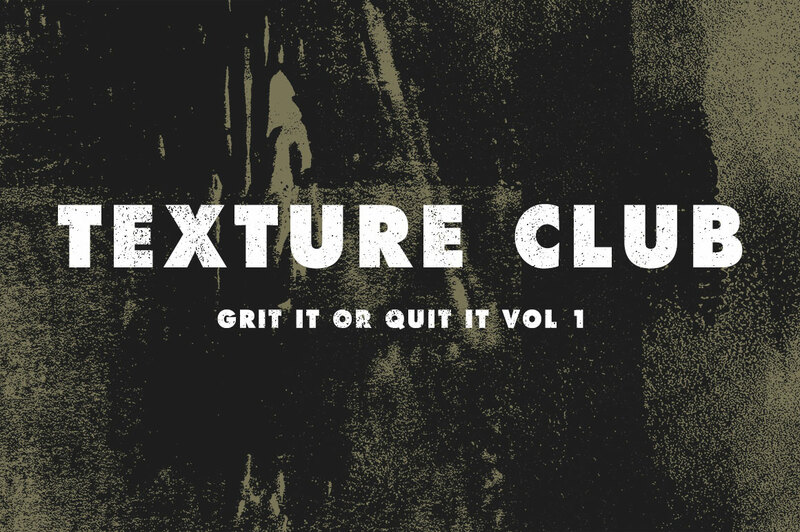 Aptly named “Grit It or Quit It”, this volume of 24 high resolution images features thick and gritty textures, with a handful of more detailed subtle textures. Hand made with ink and other materials, they will help you apply detailed grungy distressed marks to your designs and artworks. This set of “Grit It or Quit It” textures is now available for Access All Areas members to download as part of their membership. All files are at least 20×20 inches in size (some are 24×24) at 300dpi, making them suitable for all design applications from poster designs to web graphics. These are great! I love the randomness of the grit! Thank you, Chris and Justin! Thank you for the great Grit It or Quit It texture package. What would be very helpful would be an accompanying PDF file that shows each texture so that we can use it for reference. It would make my life a lot easier! Thanks! Peace! An awesome offering as always. Are there any online examples of the ‘quilt it’ version of the texture pack?